Elfinbook is a Reusable Smart Notebook, you can simply wipe off your notes with your microwave oven, hair drier, or with a damp cloth / wet tissue, You can Use up to 500 times. 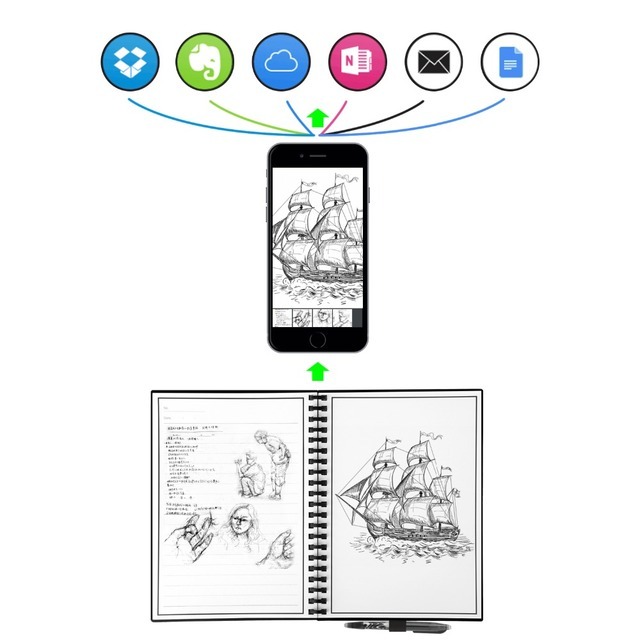 Works with Elfinbook APP(Android and iOS), Download Elfinbook APP, Scan with Elfinbook APP to store your notes. You can also instantly blast your notes into cloud services like DropBox, Google Drive, Onedrive, Yandex.Disk and so on. 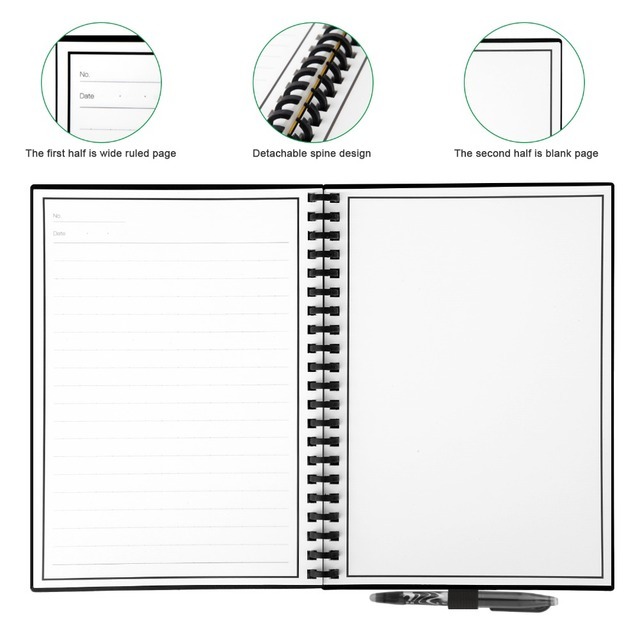 Reusable notebook, you can simply wipe off your notes by using your damp cloth/wet tissue, hair driver, microwave oven, eraser. 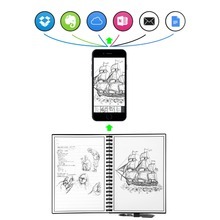 Scan with Elfinbook APP to store your notes, Blast your notes to google docs, dropbox, iCloud, Evernote, box, and email. Application scene: ① Inspirational ② Children’s Creativity ③ Building ④ Note. You can Use up to 500 times. 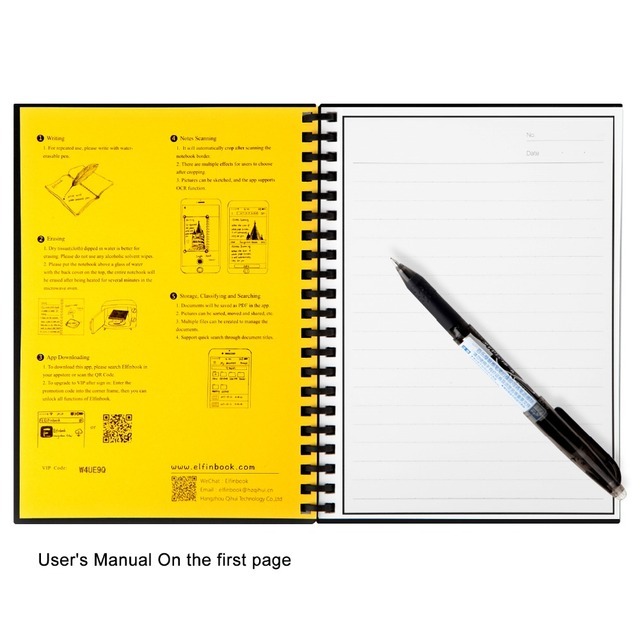 The way you take notes is about to change. 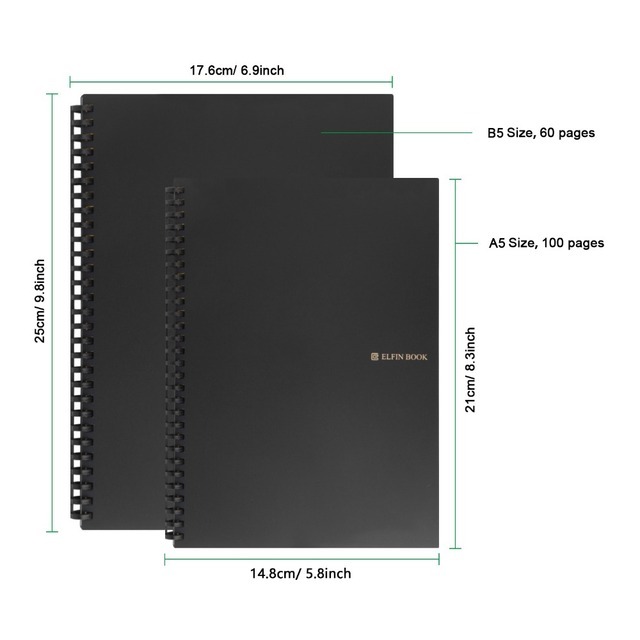 Elfinbook 2.0, Best choice for notebook. 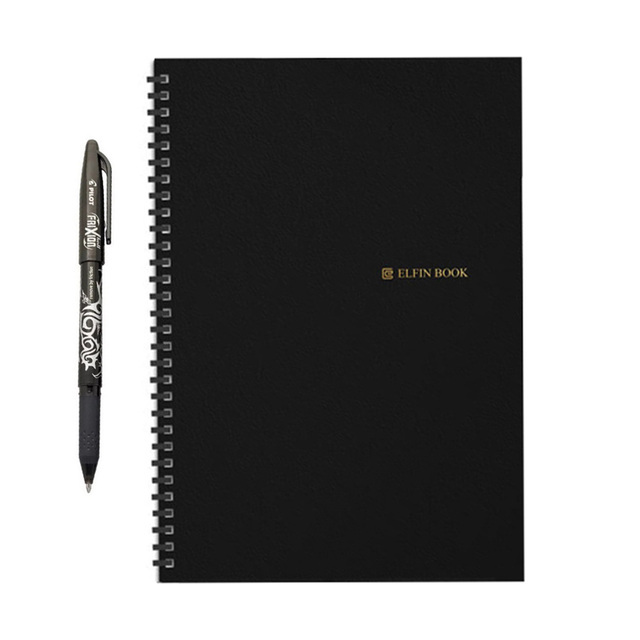 i live elfinbook! ordered 3 extra to my friends to give as a gift. i mine every day wear. carton boxes slightly damaged by transport, 100% ok but elfinbooks. normal pad and very good, goods пришёл. -all washable write and tried perfectly. дешевкой does not look. 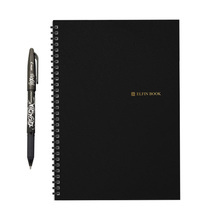 a super NOTEBOOK To EVERYTHING that i take no import and Always want have a NOTEBOOK notes new. fast free shipping Shipping was spain. superb quality free package and serious and selling fashion formal. volveré buy. highly recommended. good thing. soft but requires rework. often вылетает program. not english translation into everywhere. this great evernote with a problem. хранилищем облачным or other google synchronization was to better. drlivery took only 8 days to kazan. it is very quickly. item is very interesting. 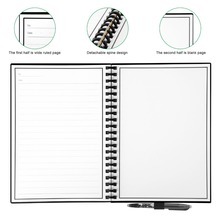 i did not try the app for this notebook. 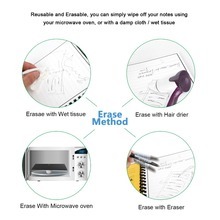 feature of erasing by water and by heat works well. and in excellent condition time come to order. write, as promised all erases. thanks to store. goods quality, very fast shipping excellent, recommend! excellent of product quality, came quickly. excellent store, recommended! 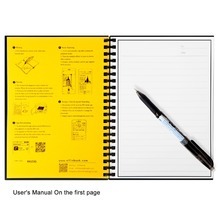 I just received the Elfinbook and downloaded the app. Looks like it will be very easy to operate. After writing the first page I did erase it with a damp towel and yes everything easily wiped off. Ordered now the Chinese version of the FriXion pen in different colors and looking forward to test them. 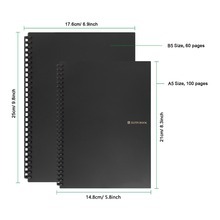 This book will become my work notebook and will allow me to organize my little notes easily - Thank you!